Brides are always looking for the perfect flowers to put into their bouquet. 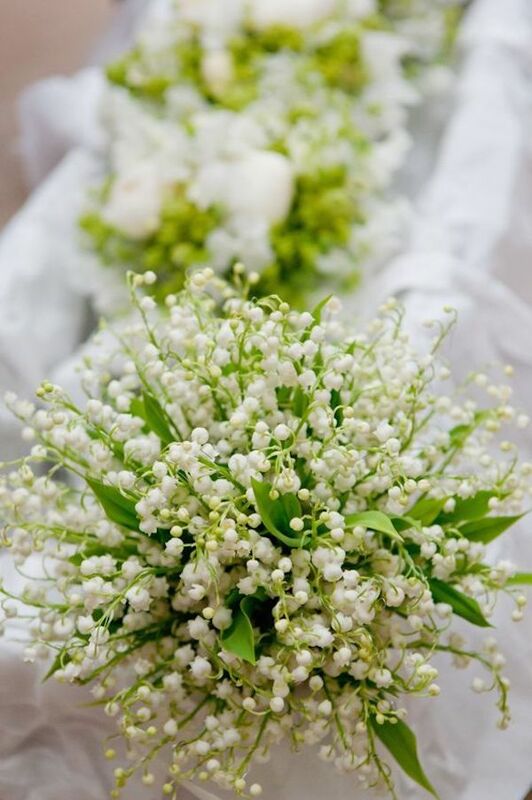 One of the most popular flowers for weddings is the classic lily of the valley. The Duchess of Cambridge, Kate Middleton, carried a bouquet during her iconic wedding to Prince William. The dainty bell-like shape makes for an extremely romantic bouquet. Plus, the flower's fragrance is stunning. However, these flowers can be extremely expensive. If you plan to use it for your big day, plan it when they're in season - in the spring, which will be much affordable! No matter your budget or time of year, you can incorporate the lily of the valley in a really beautiful way. If you're looking to save some money, just add small accents of the flower. Here are some different ways to incorporate the flower from small touches, to the entire bouquet. Trying to recreate the royal wedding bouquet? Well, there may be a way to do it without spending quite as much money. 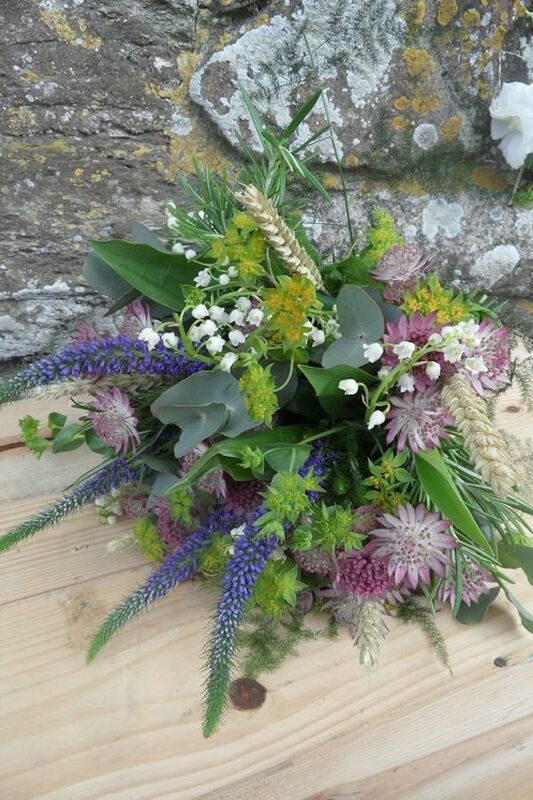 Add in some extra green leaves to pad the bouquet and cut down on costs. 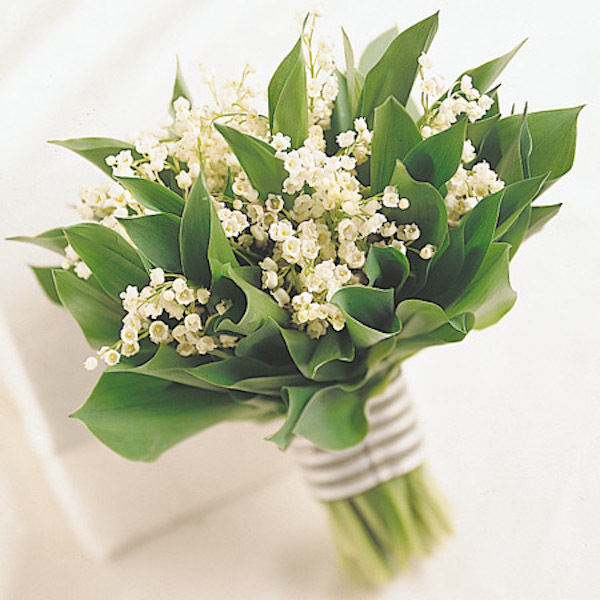 Remember, to save a little more money, try having your wedding in the spring when lily of the valley are cheaper! 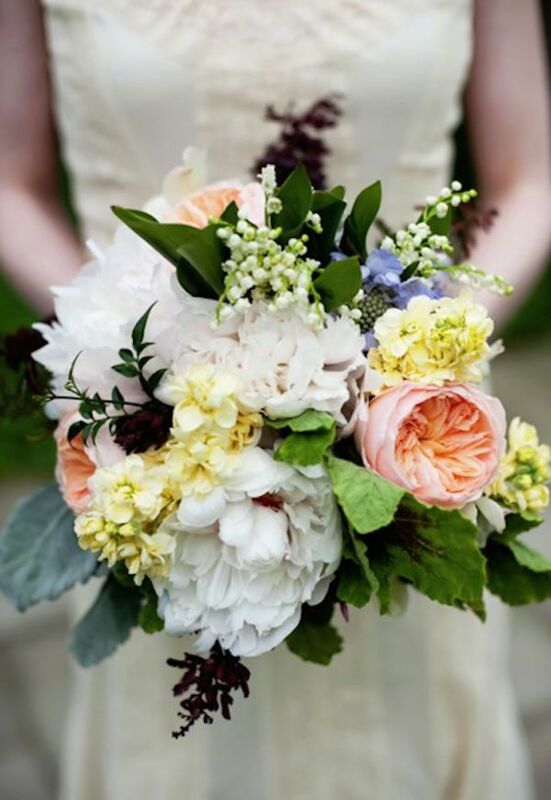 If you're planning on a more rustic wedding, this may be the perfect bouquet. It is cheaper since it features only a small number of lily of the valley. It also has astrania, veronica, wheat, rosemary and mint. Perfect for any outdoor ceremony. 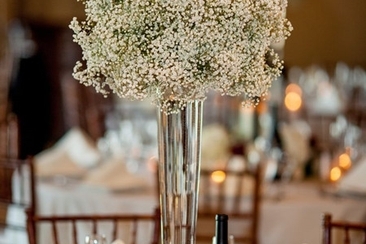 If you're looking for a lily of the valley bouquet, this is a great option. 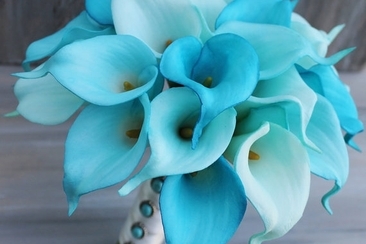 A beautiful bouquet combines lily of the valley with calla lilies. 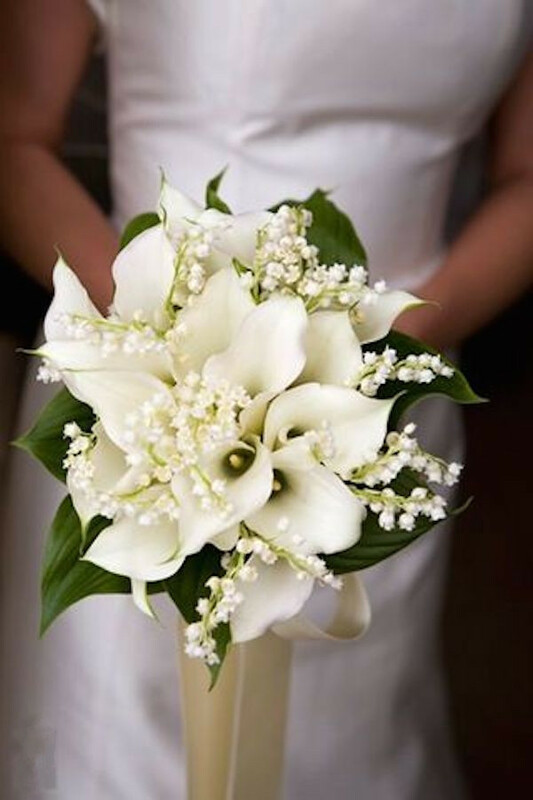 The white calla lilies take most of the space in the bouquet, and the lily of valley adds a beautiful accent. This mix of white flowers makes for a sophisticated bridal bouquet. If you can't afford to put a lot of lily of the valley in your bouquet, but still want to make it a focal point, make sue the rest of the flowers are a different color like pink or purple. The deeper the color, the more the white will pop. You don't have to be rich to make lily of the valley the star of your bouquet. This beautiful cascading bouquet is elegant and colorful. The soft pink tones combined with the white is elegant without having an all white bouquet. 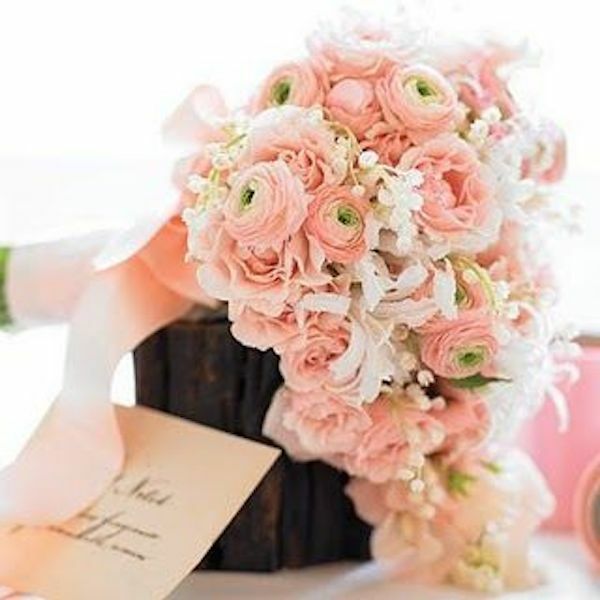 This specific set of flowers includes pink ranunculus, pink spray roses, white nerines and of course white lily of the valley. Perfect for any spring wedding and would work well both indoors and outdoors. Even though lily of the valley is cheaper in the spring when it's in season, if you're set on a fall or winter wedding, this autumnal bouquet is perfect. It only uses a touch of lily of the valley, but it adds a lot of class, including several different kinds of roses, a selection of seasonal berries, wax flower, astrantia, the foliages senecio and eucalyptus. If you're set on having a lot of lily of the valley, this is a beautiful option. It has a teardrop shape with lavender florets throughout. 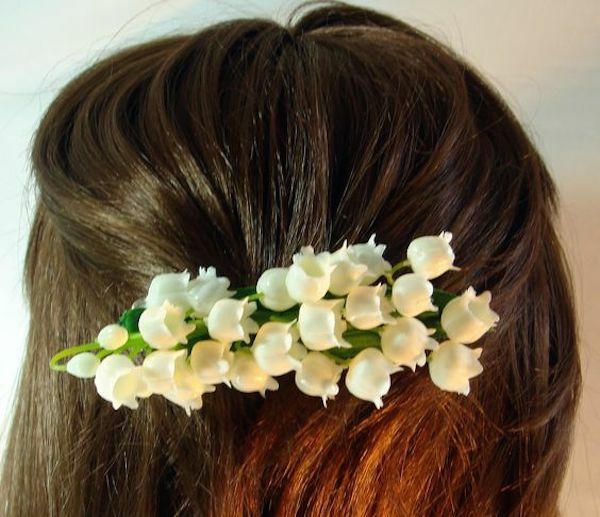 It's not a cheap option, but it's beautiful if you're really set on a lily of the valley bouquet. Peonies are seen in a lot of lily of the valley bouquets. The large beautiful peonies go perfectly with the delicate lily of the valley. 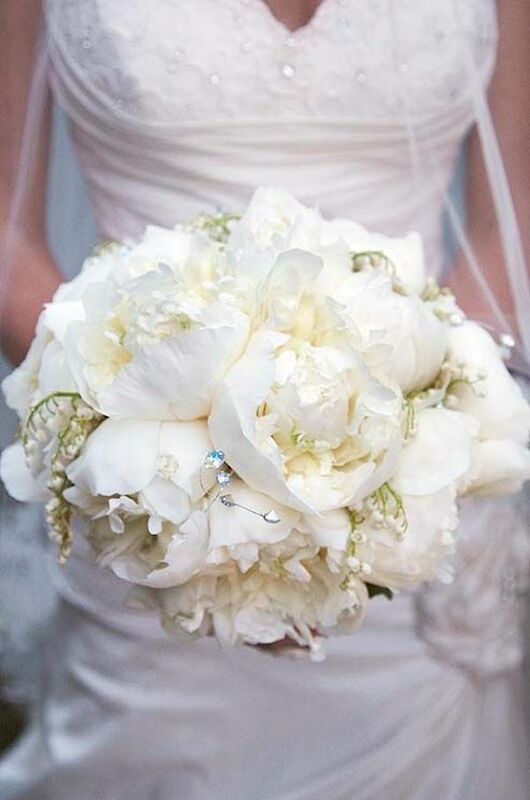 The juxtaposition of the large peonies with the small lily of the valley makes for a beautiful and elegant bouquet. 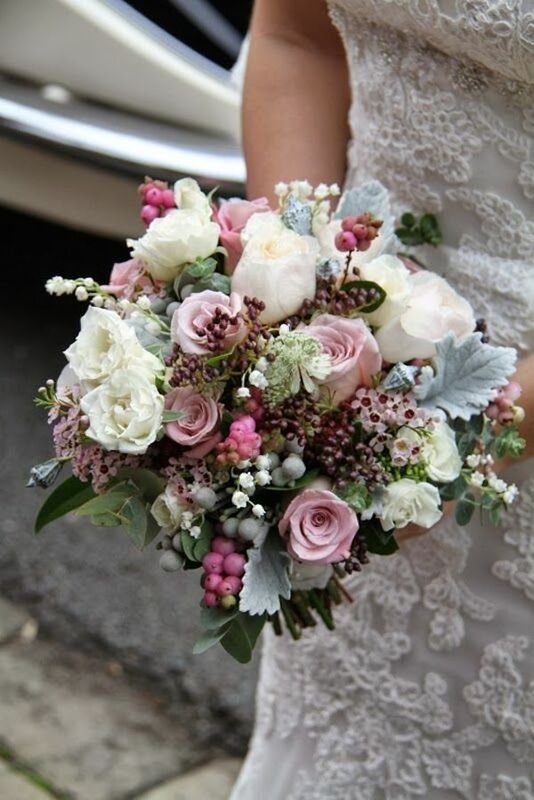 This amazing bouquet has a series of beautiful pastel colors. 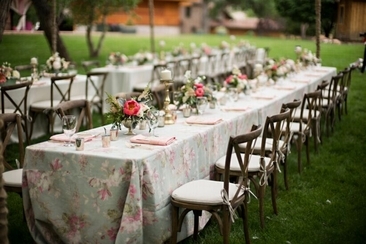 It contains juliet garden roses, peonies, stock, dusty miller and flowering dogwood. It's perfect for most seasons and it doesn't feel uptight like a lot of bouquets. 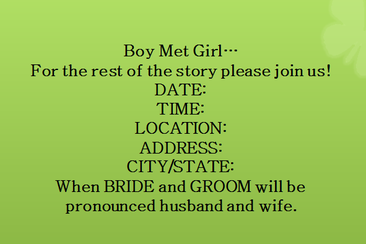 It gives impression that the bride is easy going and guests are invited to have a fun wedding! If you really want an all lily of the valley bouquet, this is it. The flowers are offset with the green leaves from the plant for a more elegant look. Be prepared though, this isn't going to be a cheap bouquet, but it will certainly be memorable. 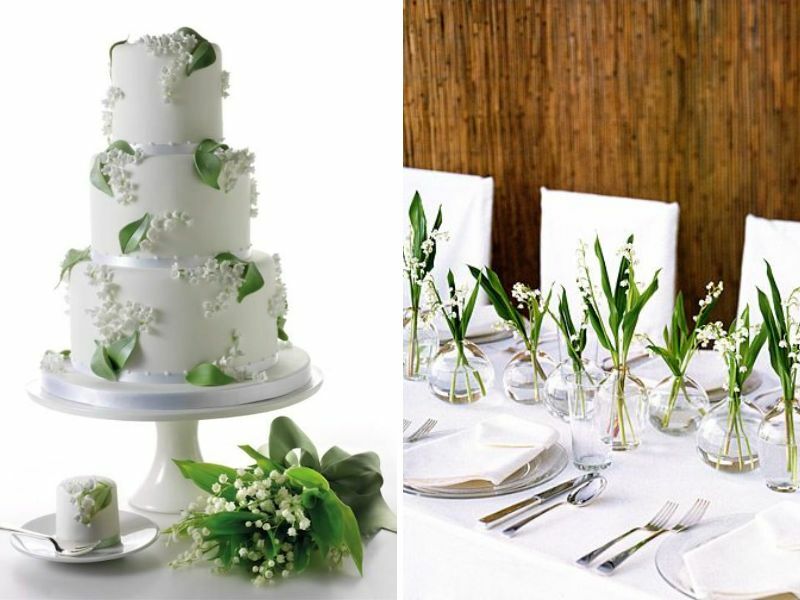 There are many other ways to incorporate lily of the valley into your wedding besides the bouquet. Here's a few ideas on how you can get the lovely flower into your big day. The delicate flower is perfect for putting in the hair of the bride on the big day. Especially if the bride has darker hair, the little white bells will pop against her head. The hair accessories can either be done as a clip, headband or crown. The bride isn't the only person in the wedding who can go away with wearing these lovely flowers. 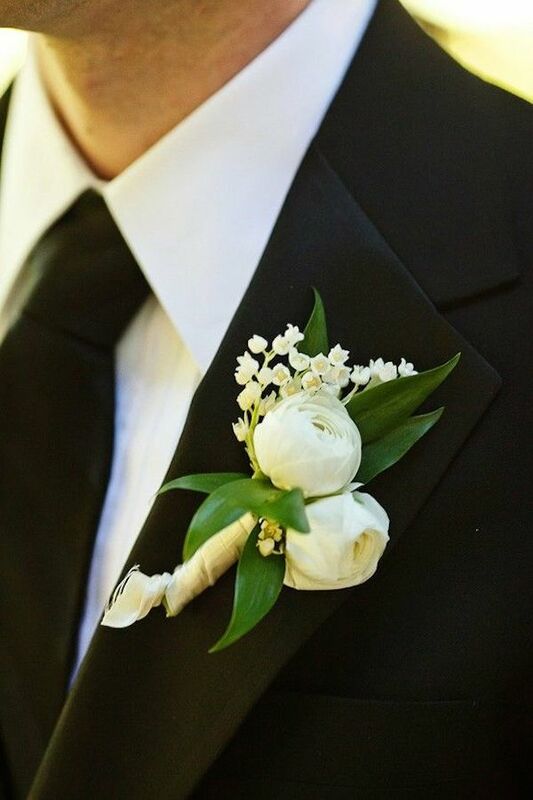 The boutonniere for the groomsmen and the corsages for the mothers of the bride and groom are also a perfect place to involve the flower. 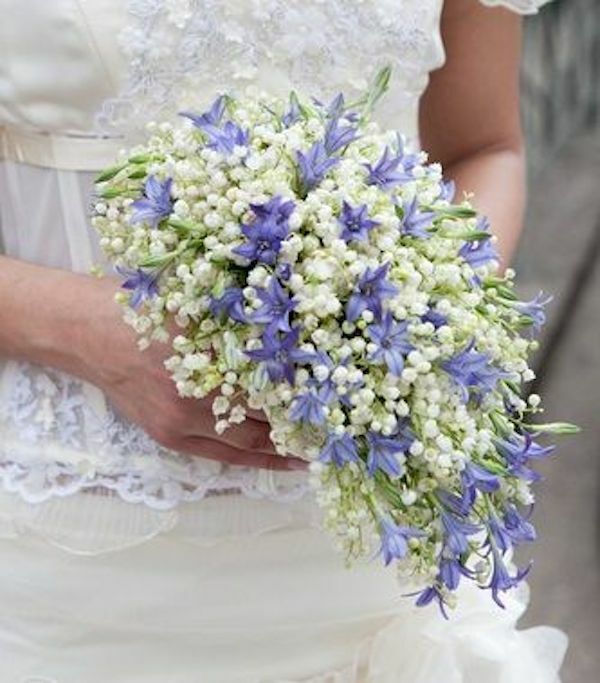 The flower girl can also have a lily of the valley bouquet! Because the flowers are so small and cute, it pairs well with the darling little girl who will be walking down the aisle. You can also stick some in her hair for an extra cute look! 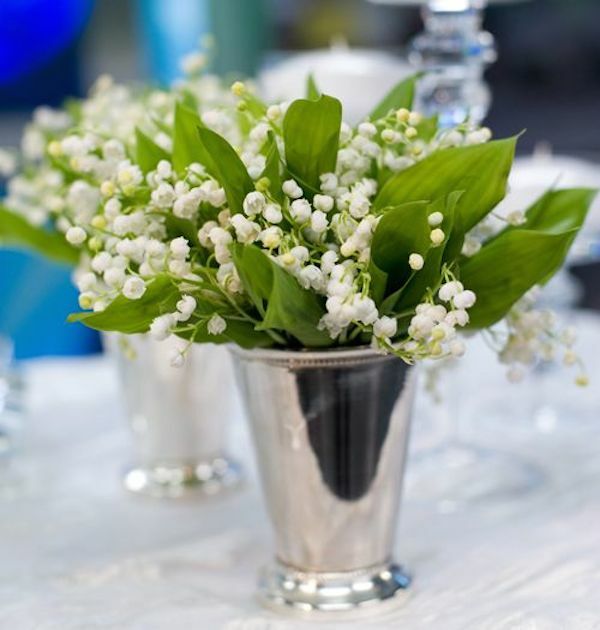 If you can afford it, lily of the valley is a great addition to your centerpieces. It gives a unique look to your tables. If you can't afford to have the entire centerpiece be lily of the valley, you can still add it as an accent flower to the table. Let the lily of the valley be the star of several other decorations! You can use them as the inspiration for cakes, for place card holders, and any other decorations you have for the reception. 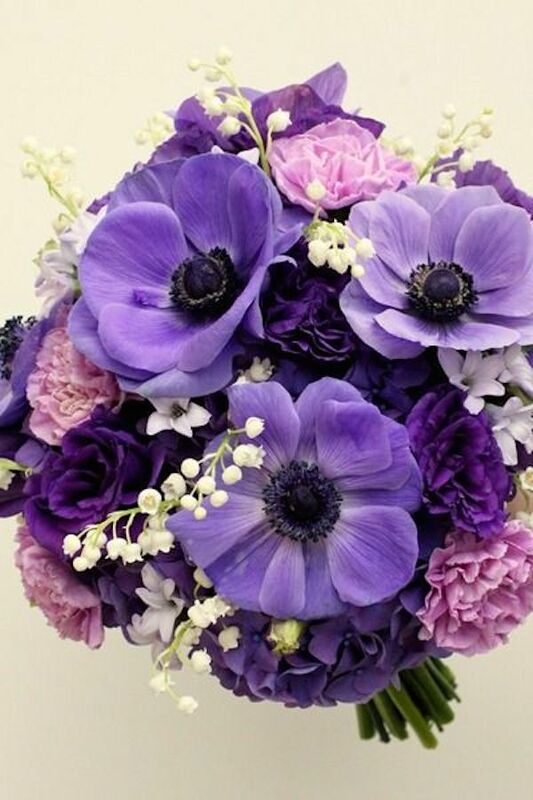 These are beautiful flowers that will make any occasion more sophisticated. Just be creative! Is your wedding finally coming up and are worried about getting it right with the ring? 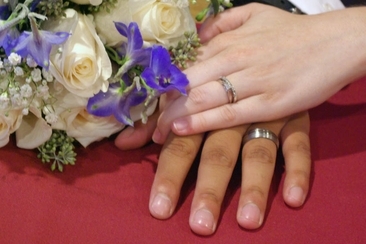 Here is an overview of wedding ring etiquette you should be aware of. 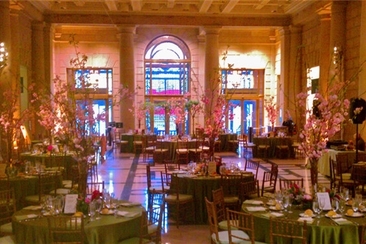 Philadelphia boast some of the most charming and elegant wedding sites. Here are some of the most popular Philadelphia wedding venues with amenities and price ranges. Try to find some casual invitation wording for wedding? Then click here to get some inspirations, no matter you like fun and interesting one, or sweet and simple one.